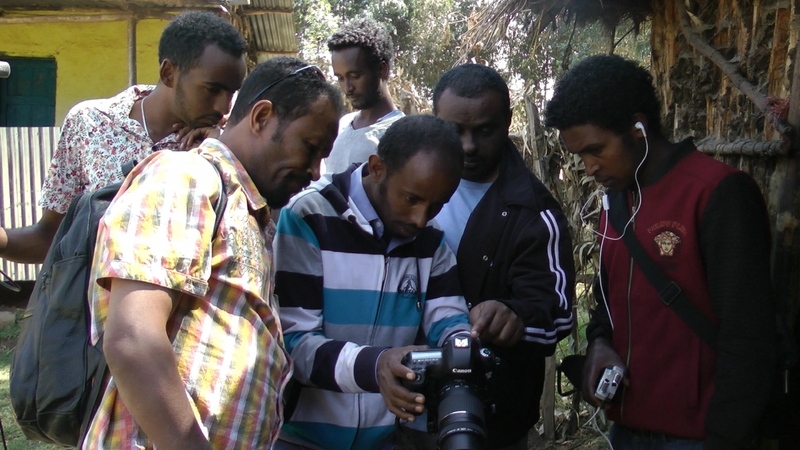 The first scholarly book on Ethiopian Cinema was published in August 2018 on Michigan State University Press, edited by Aboneh Ashagrie, Alessandro Jedlowski, and Michael W. Thomas. It is a groundbreaking contribution to the growing academic fields of African Cinema and Africana Studies. Cine-Ethiopia: The History and Politics of Film in the Horn of Africa will be a valuable resource for anyone interested in the diversity and historical complexity of film from that region, including chapters on a variety of topics such as migration, gender, television, the Italian occupation, the revolution of 1974, and the genres of comedy and tragedy as well as focused analysis of films from Somalia, Eritrea, and the Oromo region of Ethiopia. Cine-Ethiopia includes a chapter written by two of Sandscribe’s teachers, Professor Steven W. Thomas and Professor Teferi Nigussie Tafa. 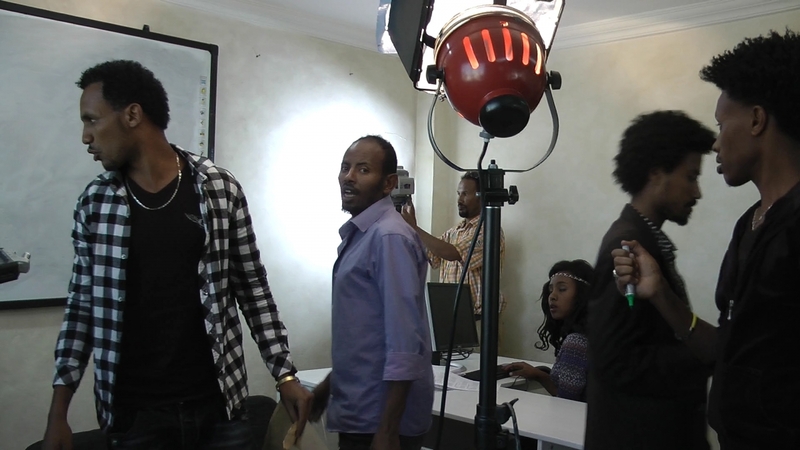 Their chapter focuses on the importance of the indigenous “Gada System” for Oromo filmmakers living in Ethiopia and the Diaspora. It is a useful introduction for anyone hoping to learn more about the Oromo cultural movement. 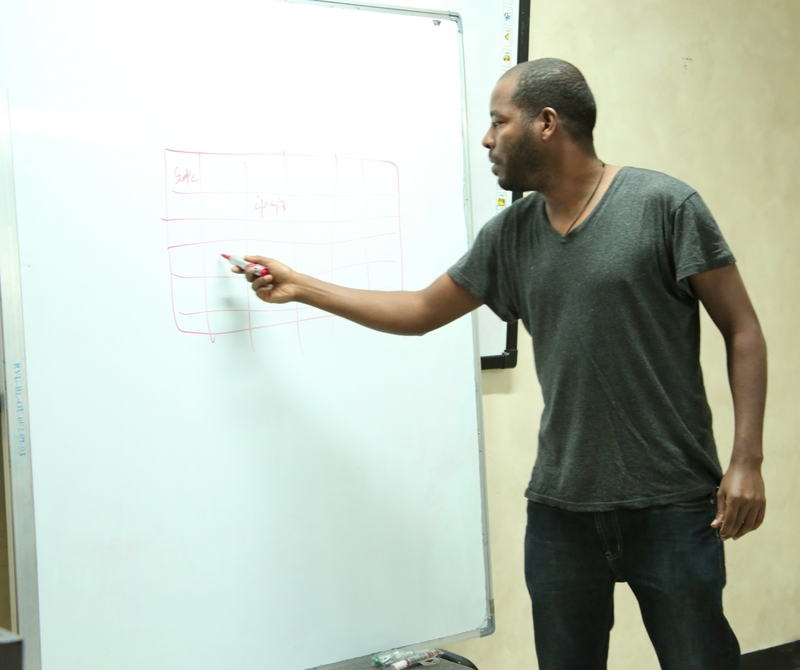 Two of the films that Teferi and Steve discuss in detail were produced in Sandscribe workshops, and they are grateful to Sandscribe for assistance with their research. They hope that their chapter will inspire more scholarship and thought-provoking critical analysis on Oromo Cinema and culture. 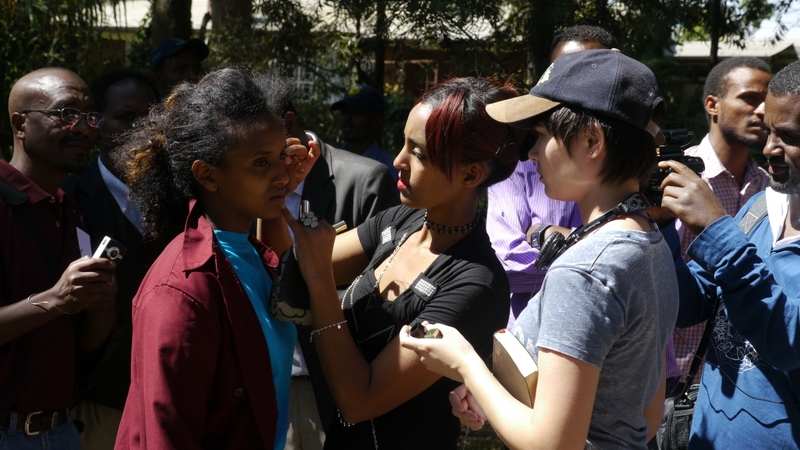 The book also includes a useful chapter on the role of women in the development of Ethiopia’s film industry, written by Eyerusalem Kassahun, herself a filmmaker and now a lecturer in the theater department at Addis Ababa University; she was a student in Steve’s graduate-level class on film theory at Addis Ababa University in 2016 when they were both busily writing their contributions to the book. 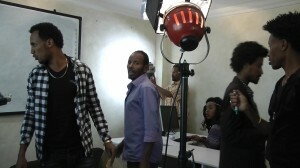 Teferi and Steven with (L to R) Sandscribe students Kumsa Tamana and Hana Adem; and Abraham Jalata, director of Eela: the first feature-length Oromo movie.